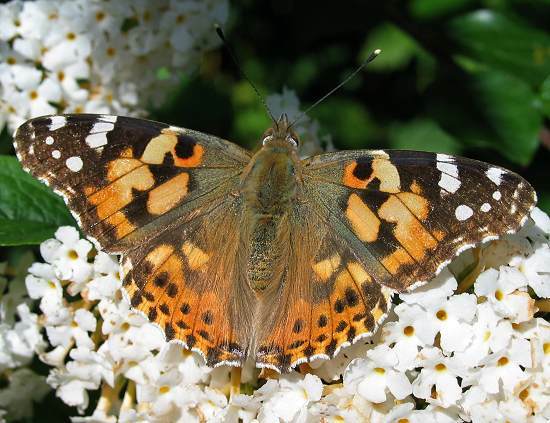 The painted lady migrates to Britain from south Europe as they cannot survive our cold damp winter in any of their stages of development. They travel up to 800 miles and consequently sighting one can vary from year to year depending on the weather conditions. June 2nd 2009: Painted Lady butterfly seen at Haworth.